Somerset Moto Fest is once more almost upon us and it’s looking to be bigger and better than last year. Organised by Somerset County Council’s Road Safety Team, the free event will take place on Saturday and Sunday, 15 and 16 September, at the world-famous Fleet Air Arm Museum in Yeovil. It’s for anyone and everyone with a passion for motors be they four-wheeled or two, sponsored by IAM RoadSmart, Rowcliffes Vauxhall and Bransons Motorcyles. There will be a host of great motor-based activities for all the family, as well as priceless information about staying safe on the road, including details of all the training that’s available. This year we will be joined on the Saturday by Max Luckes Racing; Max Luckes is a passionate expert level motocross racer looking to progress and achieve in the sport. He will be on hand to talk about his passion for racing and will have his machines on display. Cyclists are not forgotten with dealership displays of a range of cycles including electric bikes from Cog & Sprocket of Street, with advice also available from the county’s Bikeability trainers. We will also be exhibiting the latest electric moped scooters, ideal for eco-commuting. 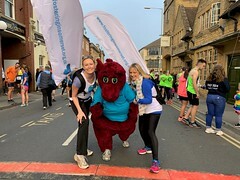 Last year’s inaugural events attracted crowds of around 2,000 and Councillor John Woodman, Somerset County Council’s Cabinet Member for Highways, hopes this year it will be even more popular. Visitors will also receive a 50 per cent discount on ticket prices to the Fleet Air Arm museum, vouchers available from the Road Safety display vehicle.